BROWSE C-SERIES MODELSWHO USES THE C-SERIES? 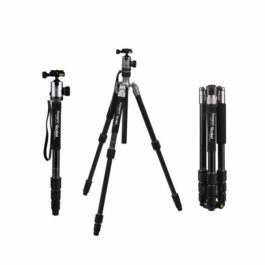 All C-Series tripods come with one leg that can be removed to convert the tripod into a Monopod. 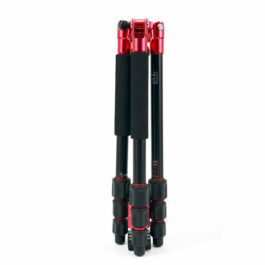 The tripod legs can be adjusted to 3 different position angles: high, middle, and low. You can adjust according to your needs. The semi-automatic adjustment clips will allow you to easily position the angle of the tripod legs and to collapse for packing. The T-Lock knobs allow you to turn the knob a mere quarter turn to be able to extend or contract each section. The C40i and C50i do not include T-Lock knobs. The two section center column will allow you to place the column upside down for low-to-the-ground shots. The C40i and C50i uses a tab (clamp the tab) locking mechanism for the leg extensions. The C4i, C4c, C5i, and C5c use the T-Lock (twist the knob) locking mechanism for the leg extensions. "The C5c is my favorite tripod ever! It's light, stable and well designed." Alex works to achieve his stated goal to “make beautiful photographs that inspire and motivate people” through his nature, commercial and fine art photography. Alex began his photography career taking backpacking trips through various landscapes, including the High Sierra and Columbia Ice field. More recently, he has focused his lens on Arizona’s deserts, the High Sierra and the Grand Canyon. In his spare time, Alex organizes the AZ Photo Guild, a Southwest-based photography group that hosts educational workshops, photo walks and backpacking photo trips. Alex’s favorite tripod is the Fotopro C5c (he owns the blue one). He appreciates its light weight, rugged durability and ease of use.